With a few notable exceptions, the month of January often served as a time during which Civil War armies rested, licked their wounds, and waited for the roads before resuming campaigning in the spring. That is not to say that January was devoid of events of historical significance. Quite the contrary. In January 1861, for example, Mississippi, Florida, Alabama, Georgia, and Louisiana followed South Carolina in declaring themselves seceded from the Union in response to the election of Abraham Lincoln to the presidency. In the months of January 1862 and 1863, the consequential battles of Mill Springs, KY, and Stones River, TN, occurred. With your help, we have saved critical acreage at both of these important battlefields. The January 1865 Battle of Fort Fisher, NC closed the last major Confederate port. Later that month, a key turning point in the conflict occurred on January 31 1865, when the House of Representatives passed the Thirteenth Amendment to the United States Constitution, a process facilitated by masterful behind-the-scenes politicking on the part of President Lincoln. In the coming year we expect to save our fifty thousandth acre of hallowed ground, a tremendous achievement made possible by the generous support you have given us over the years. Retired Marine Lt. Gen. Richard Mills, a member of the Civil War Trust board of trustees, recounts how our nation's battlefields act as exceptional classrooms for future warriors and highlights his support of the ongoing effort in Virginia to create a Brandy Station and Cedar Mountain State Park. Are you sick of the recent cold spell on the East Coast? Well, if you think you have it bad, think again. Join us on Facebook for our next Facebook Live event. We will be live from the National Museum of Civil War Medicine Museum discussing what it was like to be a soldier in a Civil War era camp. We will explore how both sides coped with winter and the ever-exciting Civil War snowball battles! Civil War Trust President Jim Lighthizer was recently featured on PreserveCast, Preservation Maryland's podcast. 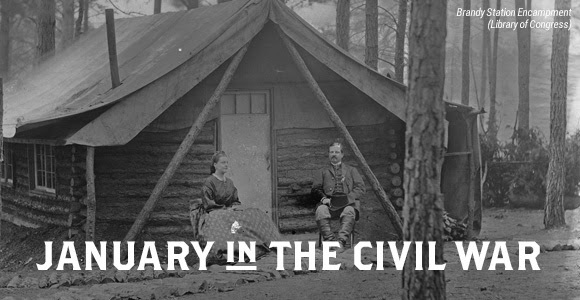 In this episode, Jim discusses the history of the Civil War Trust, our process for preserving battlefields, and the importance of saving American history. Thanks to you, we had a remarkable year in 2017. You helped us to protect 2,474 battlefield acres in 11 states, surpassing the milestone of 48,000 acres saved. Take a look back at some of our greatest accomplishments, including preservation projects, partnerships, and effort to expand our digital reach. It’s never been easier to continually support the preservation of America’s historic battlefields. Join the ranks of our supporters with our monthly giving plan. Your tax-deductible gift will help us to preserve this irreplaceable hallowed ground forever.